One of the standout indie bands in Japan, the band apart has been labeled on the Japanese scene as “musician’s musicians” and with good reason. The group fuses elements from punk, bossa nova, jazz and electronica into a catchy yet sophisticated package. Their style features rhythmically complex interplay between the guitarists that is reminiscent of The Minutemen, supplemented by a bassline and percussion that lay down an active, jazzy groove.Despite these lofty pretensions, the band remains readily accessible with solid hooks and vocalist Arai’s smooth, English-only delivery. 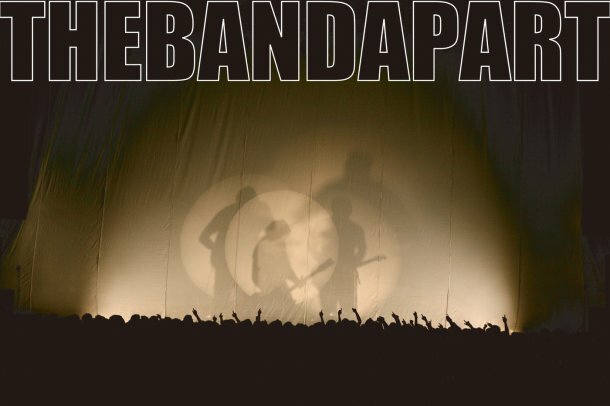 the band apart was founded in 1997 by Arai, Kawasaki and Kogure, (with Arai on bass) former middle-school classmates sharing a common interest in metal, especially Metallica and Megadeth. They initally were a metal cover band, and named themselves after Quentin Tarantino’s production group A Band Apart. However, with no clear musical direction aside from covers, Kogure withdrew as a result of internal discord. After discovering Hi-Standard and other melocore bands, the band apart had a renewed focus and reformed with Arai returning on bass and former highschool classmate Hara joining on guitar (the two would later switch instruments) in 1998. Thereafter the group began working on original material while remaining a cover band, this time for melocore groups.